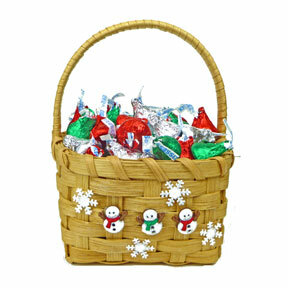 Kit includes three snowmen (colors may vary from pictured display basket) and snowflakes. Finished Basket Size: Top: 5" x 5" Square, Height To Rim: 3", Height To Top Of Handle: 5 1/2" - 6 1/2". Very detailed instructions and diagrams are included for this kit.